Christmas may be well behind us, but the snow continues to fall. Instead of getting the winter blues, we’ve decided to celebrate the beauty of the season with two WSM tobogganing events. Both events will be held at McLennan Park, affectionately nicknamed “Mount Trashmore”, found at 901 Ottawa Street South. Be sure to bring your sled and some change for hot cocoa at the Tim Hortons next door. NOTE:: If there is not enough snow, each event will take place at Westheights Community Church at the same time as the scheduled tobogganing event. 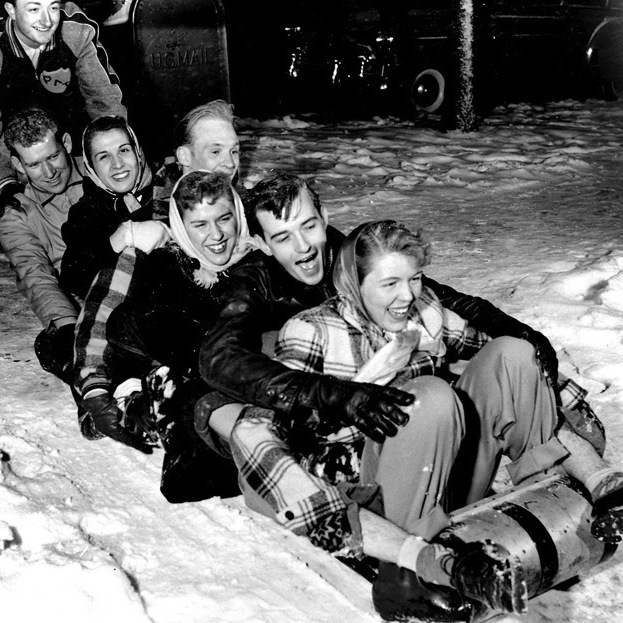 Please be sure to check connect.westheights.org and your email inboxes for updates if you suspect tobogganing may not be possible because of the weather. Cool. I even get a pic with the reply. Thanks Gillian — that will make it easy to find. Gillian, I haven’t dropped off someone at McLennan Park park before. Where exactly is the dropoff/pickup location? Thanks. That looks like an awesome hill! 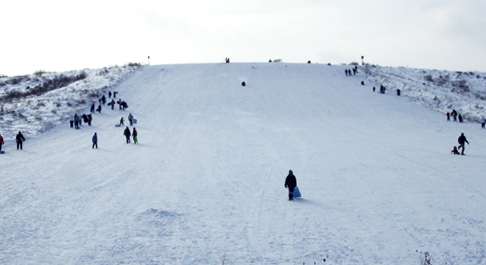 Can you kindly add its location to the map at TobogganHills.com , so that others can enjoy this great winter past time. Done! 🙂 Neat idea for a site Sebastian. Hope getting it all together goes well!